Maybe you know who I am? 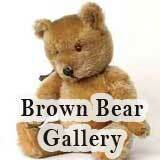 This bear was left on our doorstep for me when I was just a few days old (Feb 1989). We never knew who left it, just a note saying "For your new baby". I am unsure as to whether this was made by an individual or by a proper manufacturer. 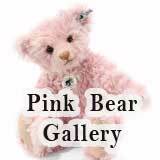 The reason I ask is that is that no other information was ever given, we never even found out who left the bear! We have asked all close family and my parents asked the neighbours at the time and no one owned up to making the bear or giving it as a gift. 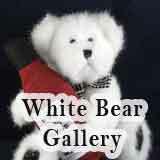 The mystery of it makes it that much more special but at the same time, I would like to know more about the bear. 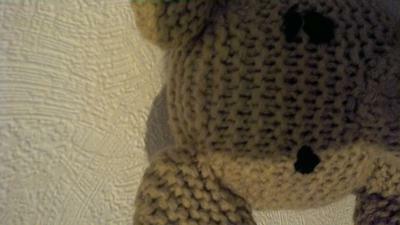 The bear is crochet, black cotton eyes and a black criss cross pattern on the nose. There is one black cotton eyebrow. The stuffing of the bear feels quite plush. It's length (from head to foot) is approx. 45cm long. The nose is protruding from the head and the ears are attached on the top of the head. The colour is light brown. Both arms are not detailed and are approx. 10cm in length. The legs are approx. 15cm in length including the feet. The feet seem to be attached separately. 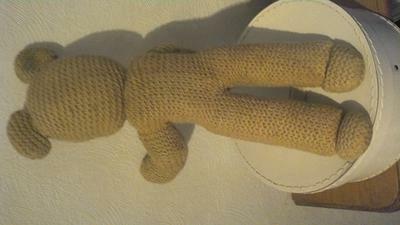 Unlike the arms, the legs are all in one with the torso. You can see the seams running down the middle of the legs and the arms however they aren't overly noticeable. The head doesn't appear to have a mouth unless the black criss cross pattern is meant to be the mouth? 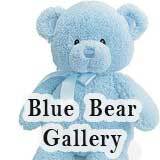 The bear doesn't have any accessories or clothes, it came exactly as the pictures show. I am unsure of the weight of the bear, but I would say it's average as there doesn't feel like there is anything solid to add to the weight. Some of the stuffing can be seen through some of the crochet and they are a mixture of colours, red, brown and orange (I think). I've checked the seams on all the attachments and they seem to be in good condition. I'm quite excited to find some more information as it's been a mystery for the past 26 years. There are no labels or markings that I can find. 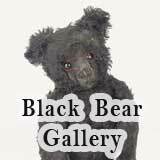 I hope there is someone out there who can shed any light on this bear. Thanks for reading! Comments for Maybe you know who I am? 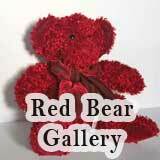 My mother made this same bear for my daughter about 27 years ago. She made it with stripes and she made an error on the number of rows and he has a long neck as well as long arms and legs. We always called him Slim Jim. He is great for a little child to drag around. I have seen him in a picture in a magazine, also striped like my mother did. I always think of him as Mr. Bean's teddy bear. That isa very interesting story you have about your bear. 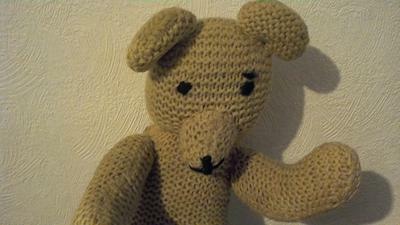 I'm a bear maker and I'm having myself how make knitted bears. 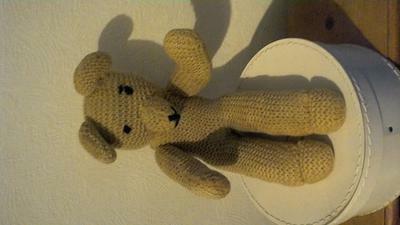 By the looks of this bear, it is knitted rather than crochet. The fabric appears to have ridges on it which look like garter stitch. This is the most basic knit stitch. It was probably handmade, rather than bought as a finished piece from a shop, but I haven't seen any commercial patterns like this. Either I haven't seen the pattern yet or it has been totally improvised by the creator. Is the muzzle a separate piece sewn to the face?